Join us as we welcome the DC fasters from the National Fast for Families Campaign. Press conference and procession to Congressman Kevin McCarthy’s office to follow. 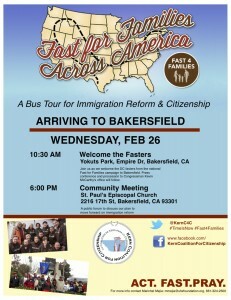 Participate in a public forum to discuss our plan to move forward on Immigration Reform. Donate to Support This Work! Education Justice Town Halls Coming in April to Kern, Fresno, and Tulare Counties! 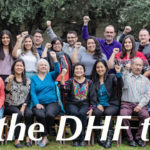 DHF is Hiring – Join our Team! Don’t Miss the 15th Annual DHF Celebrity Golf Classic 2019! Please join us for Give-Van Tuesday! 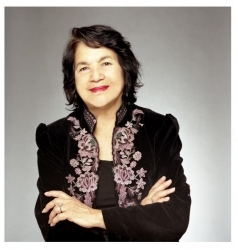 Support DHF and receive a copy of the film DOLORES!